Danish design on your wall... This Big NAGA® Coloured Magnetic Glass Board is the modern version of a whiteboard. It has the same features, and is at the same time a decorative element. 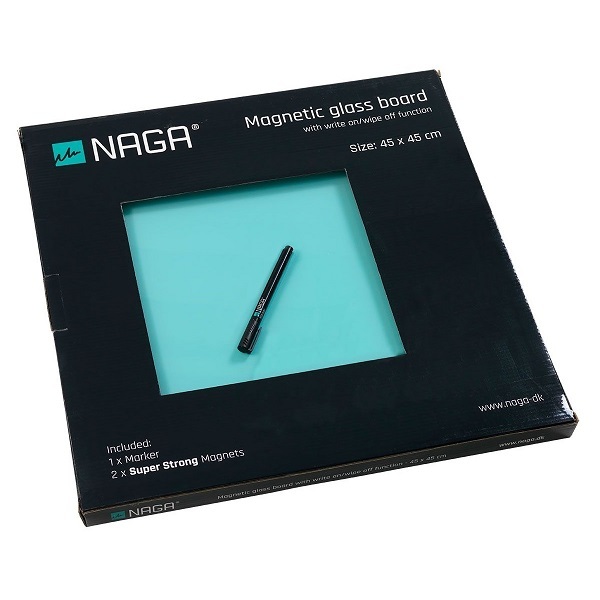 Your NAGA glass board is delivered in a gift box with 1 marker, 2 super strong magnets and comes with a suspension rail installation system.